HOW DEEP DOES A PERSON have to dive before finding the deep state? Some say not far since agencies like the CIA, FBI, and the DOJ have wrapped their roots so tightly around the political mass that no president or senator could ever uproot the tangle. It’s a good start in finding the buried treasure, or rather, shrouded criminality, but it fetches only a few paltry sea worms—no real fish to fry. For is Pompeo, Wray, Haspel, and Bolton the Deep State? If so, then Tillerson, Comey, Brennan, and McMaster were also ‘deep staters’ of essentially a shallow marsh easy to weed out. The Jew boys of Goldman Sachs led by Gary Cohn, Lloyd Blankfein, and David Solomon, cut the checks of the Generals via the Fed and underwrite the stocks of defense contractors. WAR IS A RACKET and bloodshed abroad fills the coffins of goys dying young and the coffers of Jew boys dying old. This is why Trump’s tariffs won’t bring manufacturing back home. It’s a financially-enabled game out of Jewish Wall Street that keeps defense contractors home and production factories abroad. Aluminum and steel will not return as an American commodity–despite tariffs, but to other countries who will buy it sans tariffs with all the Jew-financing they need. Free trade is a ‘globalist’ affair run tailor-made to heap money on Jewish heads. ALEPH~BET (ALPHABET) are HEBREW letters signaturing Mossad ownership. Don’t be fooled, the Deep State doesn’t flow from DC but from Tel Aviv. “Alphabet” is the parent company of Google acting as a cover for International Jewry. Evidently, it was a Mossad handler, Professor Jeffrey Ullman, acting in tandem with a CIA/Mossad agent, Rick Steinheiser, that funded Sergei Brin and Larry Page, Google’s ‘founders,’ when they were students at Stanford in the 1990’s. Stanford has been tied to secret military research projects for decades and was the steam propelling Silicon Valley’s nexus with the Pentagon and the CIA. Creating the Massive Digital Data Systems Project (MDDS) to fund computer scientists at Stanford, the Pentagon and Intelligence Community (CIA/Mossad) tapped into a ready-made way to track individuals and groups online…which led up to Google. 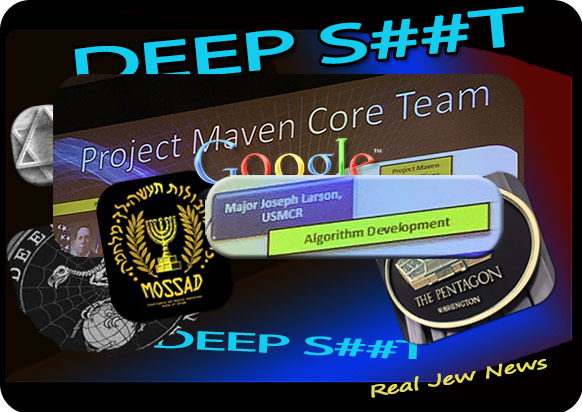 Strategic partner Mossad was eager to increasingly connect with monied Jews of the Silicon Valley–(fourth largest Jewish community in the US)–who dominate the high-tech world, and grab some technology of their own while expanding its global network via cyber-science. Attached to multiple projects sponsored by the Pentagon, Professor Jeffrey Ullman and CIA’s Rick Steinheiser, recognized Brin and Page’s pioneering search-engine technology and pursued a long-term goal: Control of the information highway. 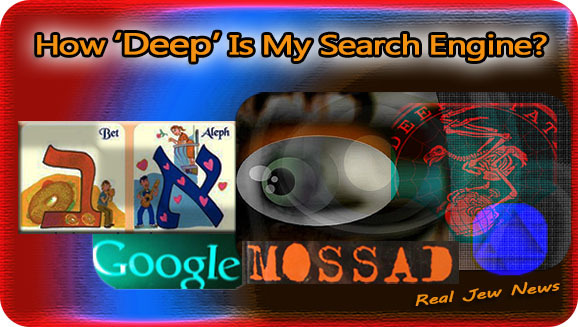 NONE SHOULD BE SURPRISED, given Mossad’s veiled ownership of Google, that this cyber cyclops has recently entered into a direct partnership with the Pentagon. And only Jews—as far as they’re concerned—are the genuine “mavens,” while the Goys who work for them, (like Eric Schmidt, who with his nice goyisha look announced Google’s de-ranking program), are useful shills providing Gentile window dressing. Jews are getting nervous. More and more are bypassing deep-state ambiguity and looking for specific actors and entities. THE JEWISH MIST thrown over the goy’s face of ‘innocent victimhood’ is being dissipated by Jewish criminality observed all over the world. Thus Jews legislate mandatory Holocaust education…again made into law in Connecticut, and criminalize criticism of Israel with a Jew-sponsored bill dubbed the “Anti-Semitism Awareness Act of 2018″ now moving from the House into the Senate. The deeper you look the creepier it gets. 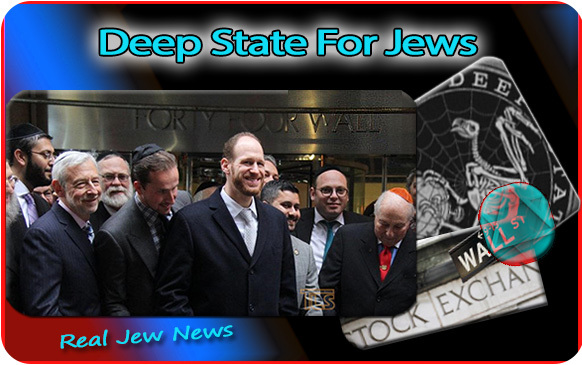 The Deep State is crawling with Jews. If we don’t start naming the Jew we’re all going to be in deep s##t.